A 35-year-old Centralia man was arrested by Salem Police Thursday night on outstanding Washington and Franklin County warrants. Joseph Oliver of East Noleman was taken into custody when police were investigating a burglary in progress at a home on South Marshall Street. The owner elected not to press charges. Oliver was later transferred to the Washington County Jail on a Washington County warrant originally issued in a burglary case and on a Franklin County warrant in a fraud-related case. Salem Police arrested 22-year-old Robert Dodson of North Shelby in Salem on a Washington County misdemeanor warrant after his car was found parked in the middle of the road at Spruce and Illinois Thursday morning. 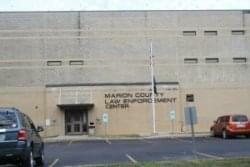 Dodson was taken to the Marion County Jail where he remained Friday morning. Centralia Police arrested 29-year-old Jalil Baker of Sycamore Street in Centralia on an outstanding Marion County failure to appear in court burglary warrant. Baker later posted $500 bond and was released.